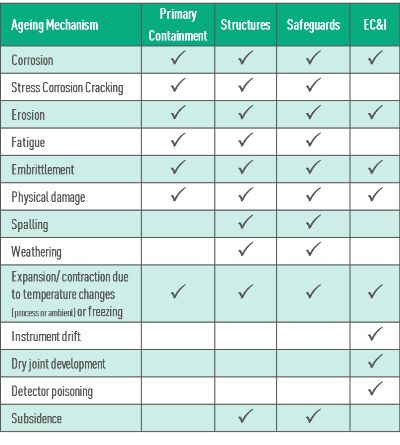 The potential degradation of facilities due to age related mechanisms such as corrosion, erosion and fatigue is a key issue for the chemical industry. The Health and Safety Executive have recognised asset integrity management and the issue of ageing plant as key topics to address in their strategic inspection programme. 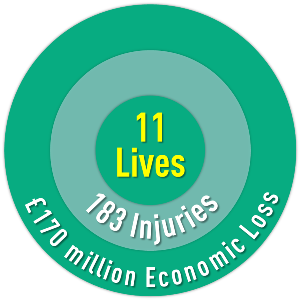 In the period 1980 to 2006, loss of containment incidents caused by ‘ageing’ events equate to an overall loss of 11 lives, 183 injuries and over €170 Million of economic loss. 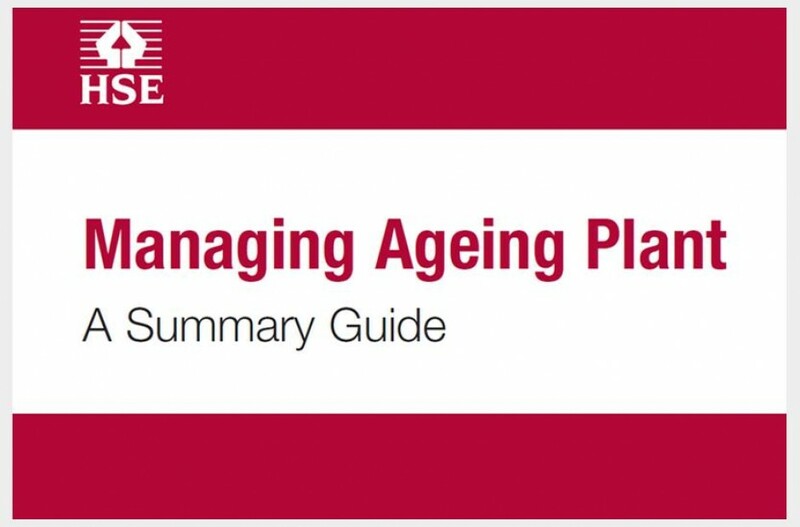 This demonstrates the significant extent and impact of ageing related failures on safety and business performance. 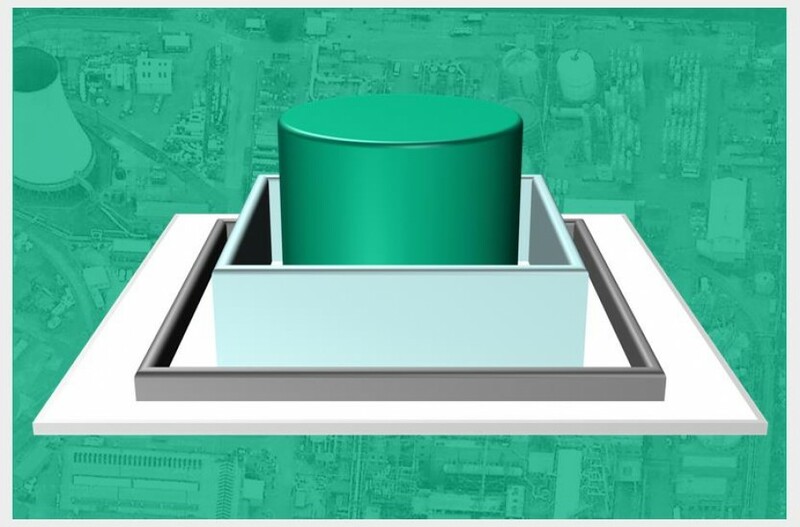 Monitoring the ageing mechanisms of the built assets or structures is an extremely specialist area and requires in-depth knowledge of the following failure modes shown to the right. The assessment (by a competent person) of ageing structures should therefore be considered as a minimum level of compliance in relation to the application of all measures necessary to prevent major accidents involving dangerous substances, (required by COMAH regulation 4). As an example of our capability to assess complex failure mechanisms within the site infrastructure, one of our COMAH clients asked Comah Structure Inspections for advice in relation to a significant crack in the brickwork of one of its buildings. 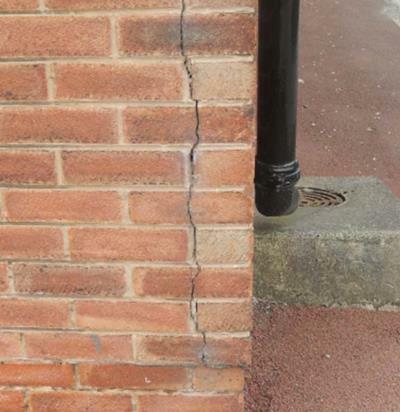 Our experienced team was able to diagnose that the defect was due to thermal expansion stresses within the masonry. Our advisors then prepared a detailed specification for the specialist repair required to address this type of defect with costing for the different access options that were available to the client. Our in house maintenance team was than appointed as the specialist contractor for the required remedial work. The specialist and competent diagnosis and whole-life rectification of infrastructure defects are essential components of a sustainable asset integrity management system on a chemical processing site. Our skilled and experienced team provide an unrivalled service in the assessment and diagnosis of deteriorated buildings and structures. Our competence provides reliable specialist support when our chemical sector clients require assistance in the root cause analysis of structural defects. When a requirement for repair or maintenance work is confirmed, we also provide added value in the form of knowledge and experience of specialist techniques that can be implemented to achieve a successful whole-life outcome at optimal cost. 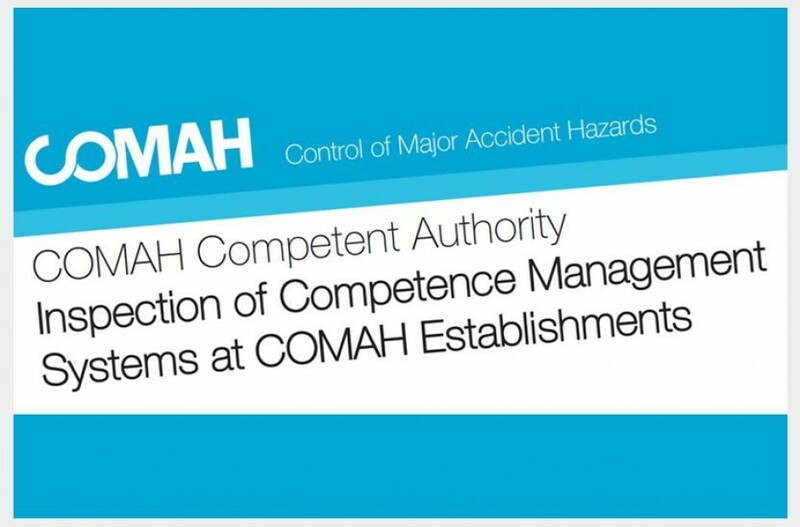 Comah Structure Inspections has approaching 50 years of combined experience in the highly specialist area of infrastructure diagnosis and repair and has been providing these services in a COMAH Top Tier environment since 2007. We are fully competent and accredited to diagnose and address all forms of infrastructure deterioration. If you would like to find out more on how your organisation can benefit from the infrastructure deterioration assessment service provided by Comah Structure Inspections please don’t hesitate to contact us.